This map was designed for a 11" x 17" brochure format, at a scale of 1:20,000. 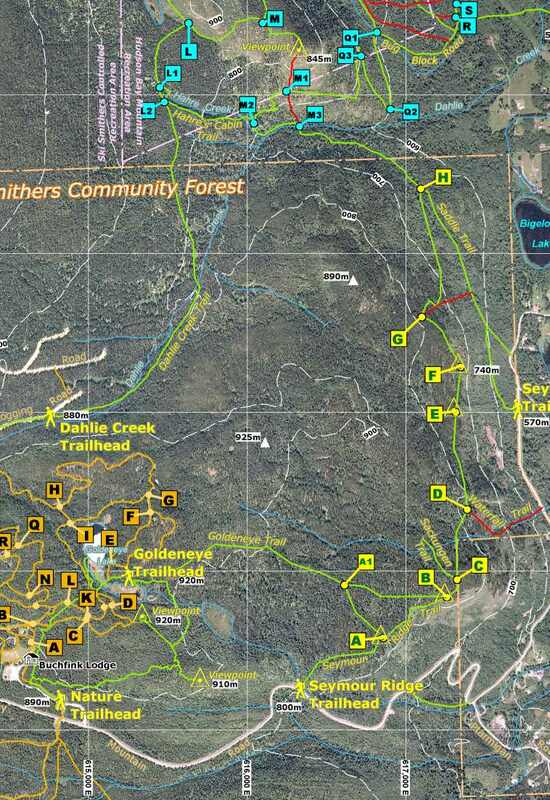 It shows both hiking (green) and cross country-ski trails (orange). 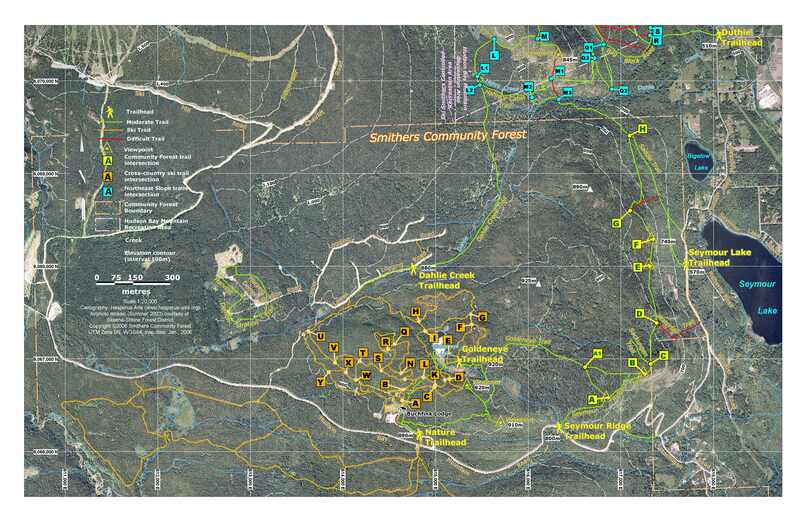 It shows trails in the Smitehrs Community Forest, which is just south of the town of Smithers, BC. Trails near the top of the map with blue intersection letters are part of the Northeast Slope Trails, which I have also mapped. Projection is UTM Zone 9N (WGS84).